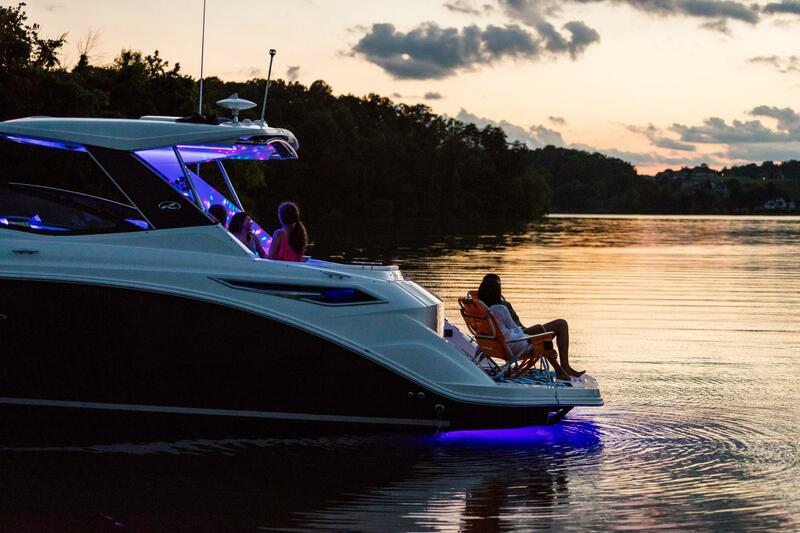 Forget what you think you know about cruisers. 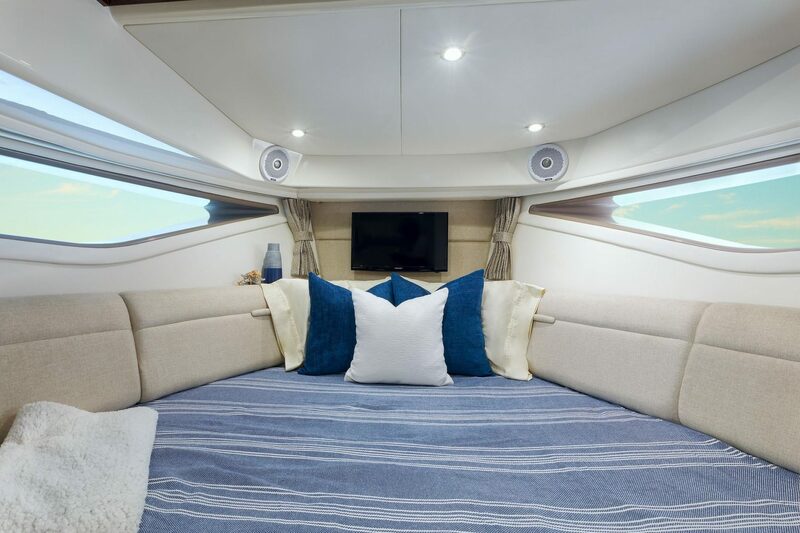 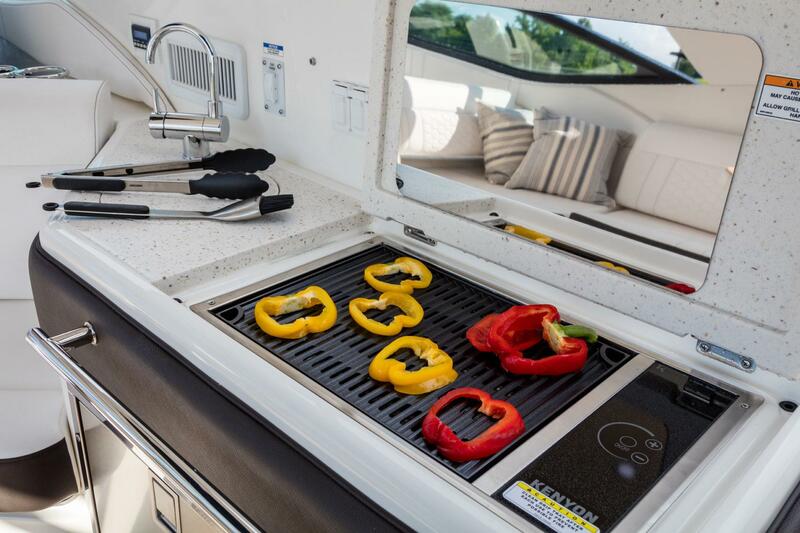 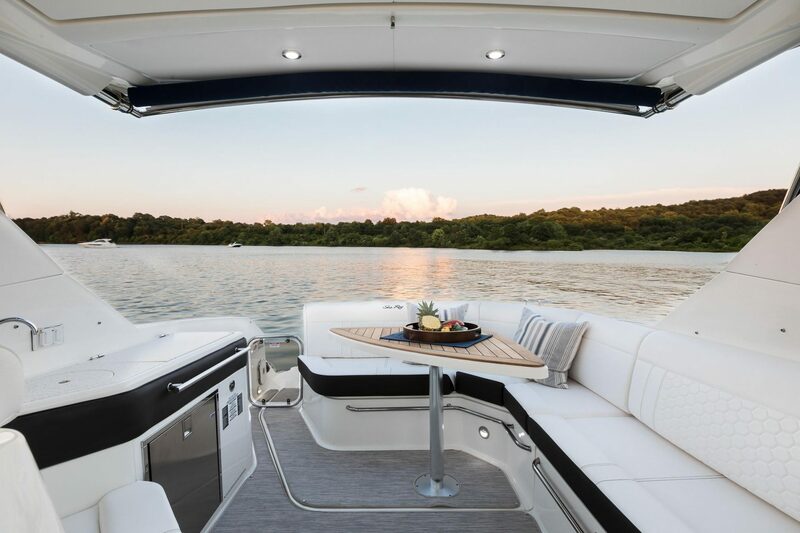 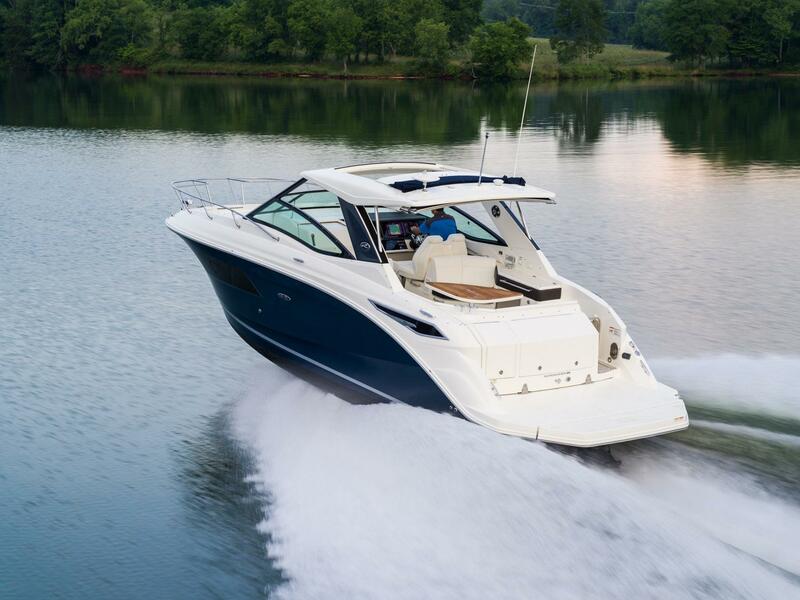 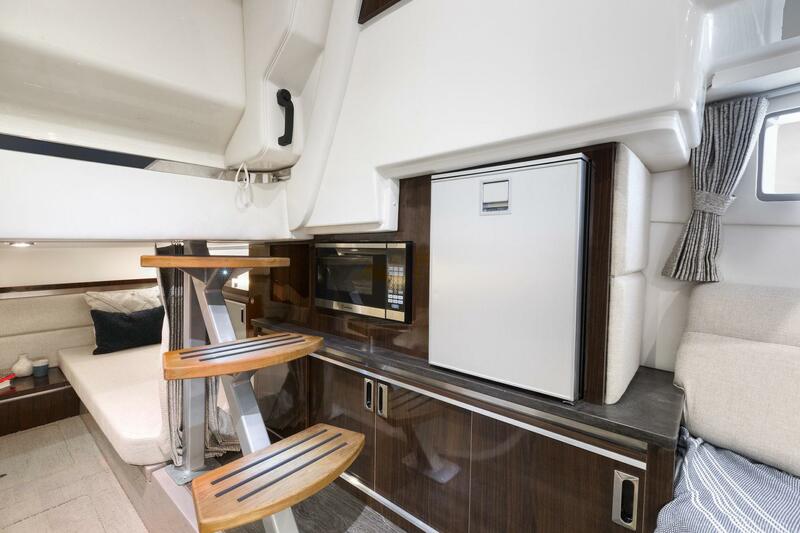 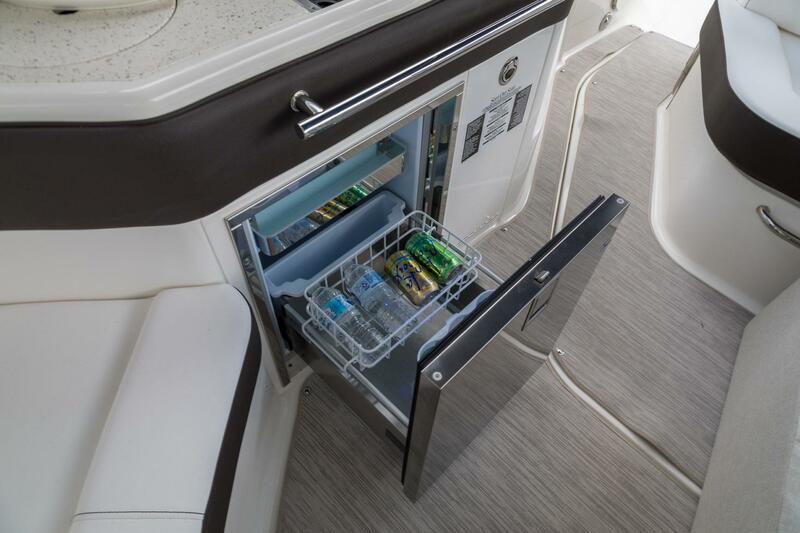 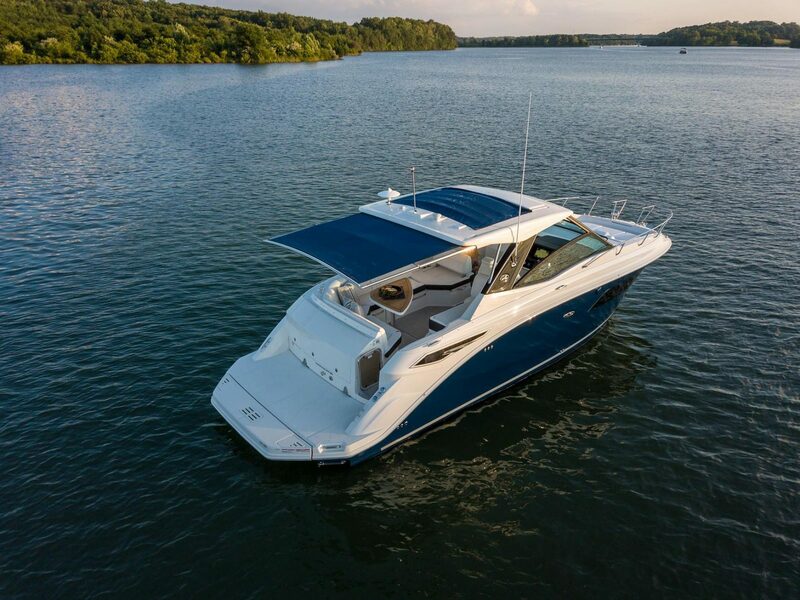 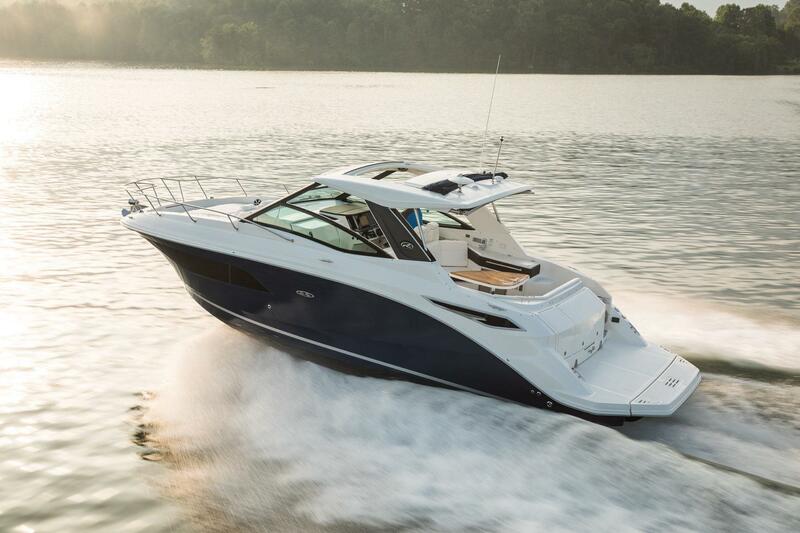 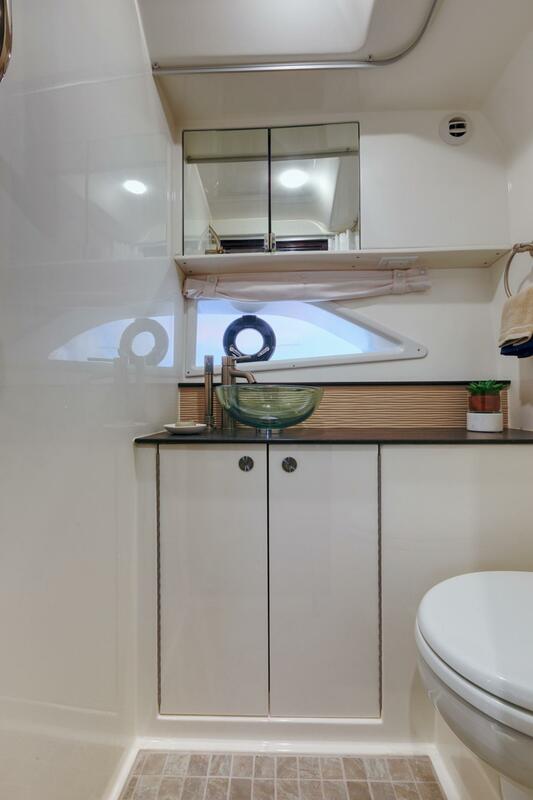 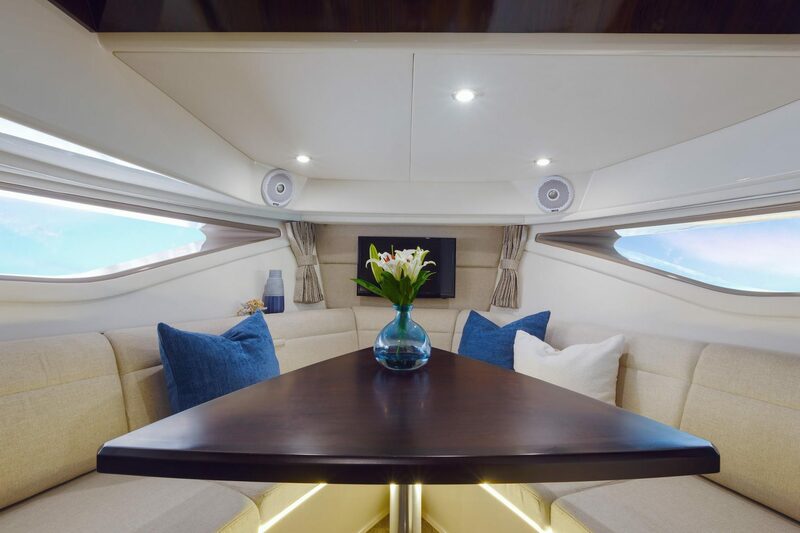 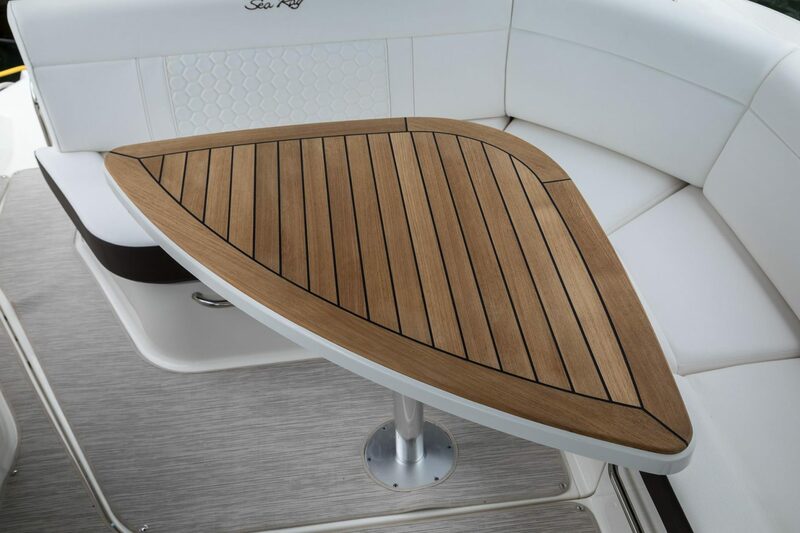 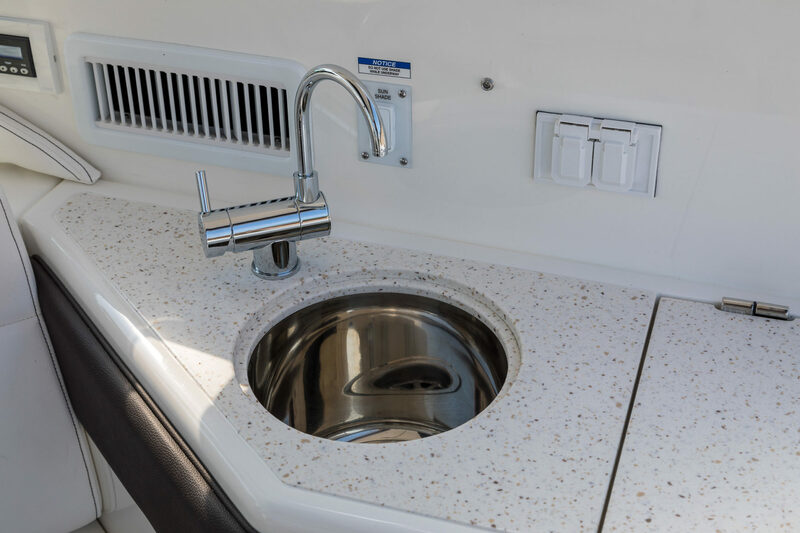 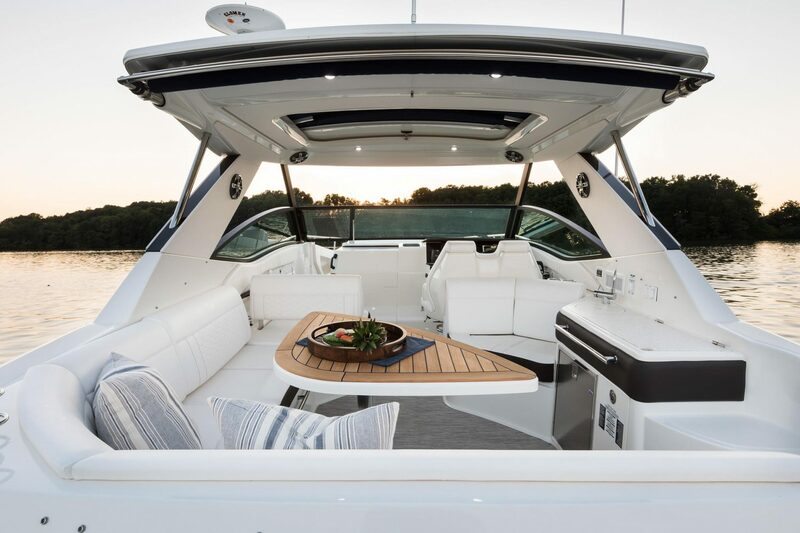 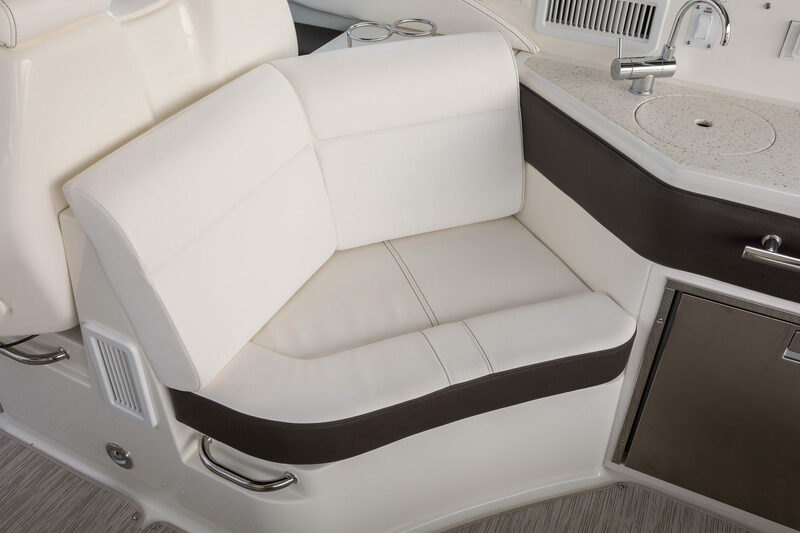 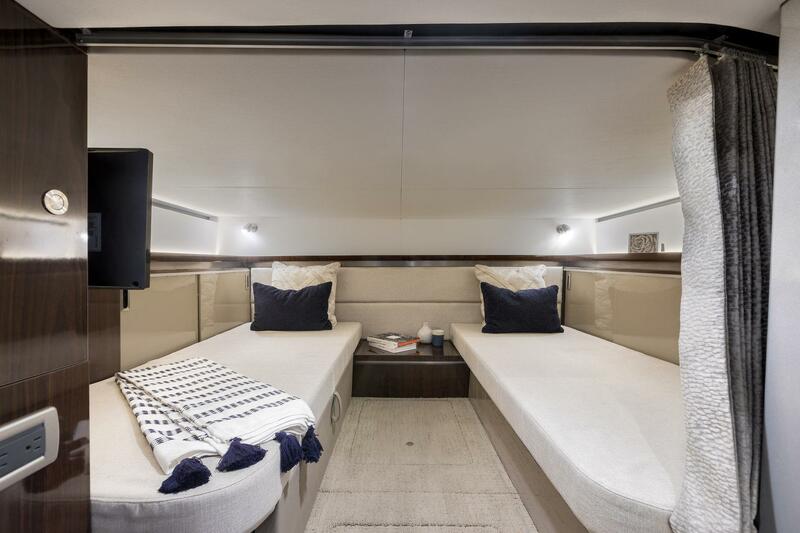 The new Sundancer 320 shatters all assumptions, reimagining the balance of indoor and outdoor space with a boat that is as versatile as it is elegant. 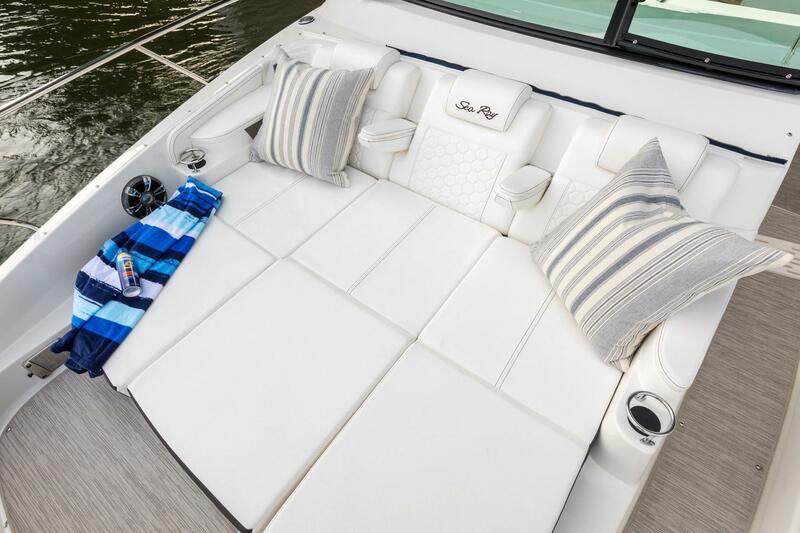 Enjoy a crowd-pleasing cockpit, a remarkably comfortable cabin, and a new bow lounge area sure to be the most popular seat in the house. 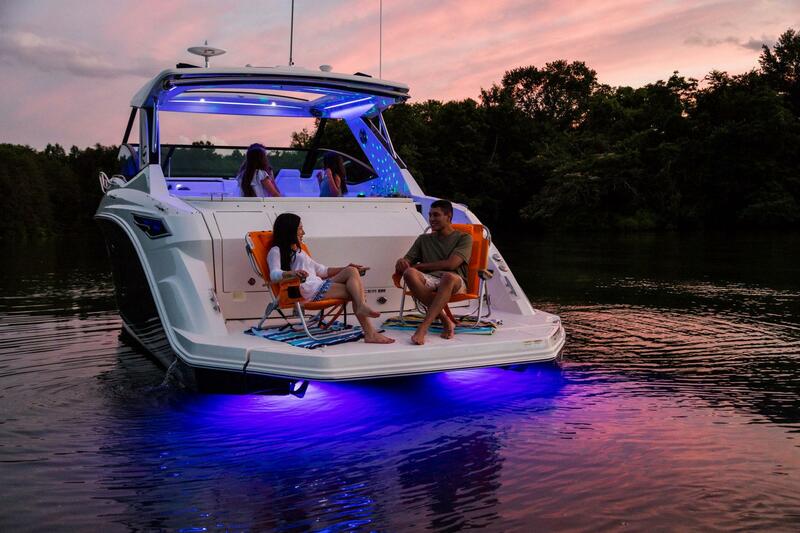 You’ll enjoy the natural world as never before – and you’ll wonder how you ever settled for anything but this. 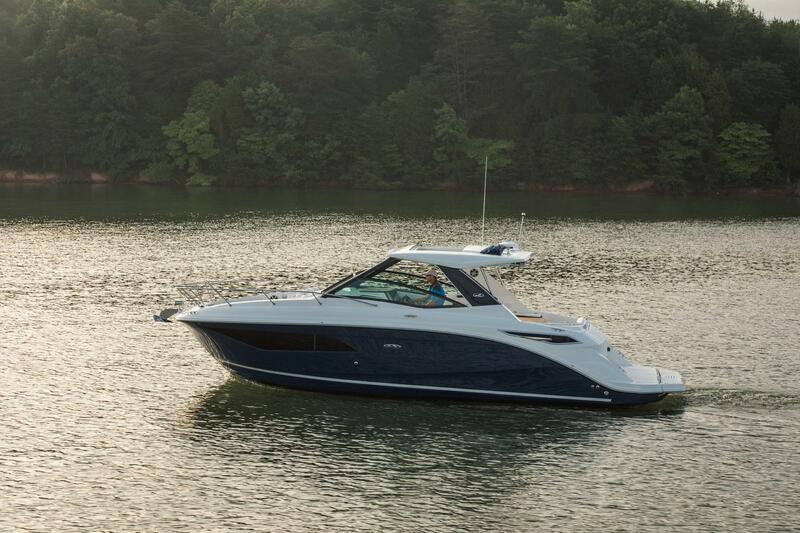 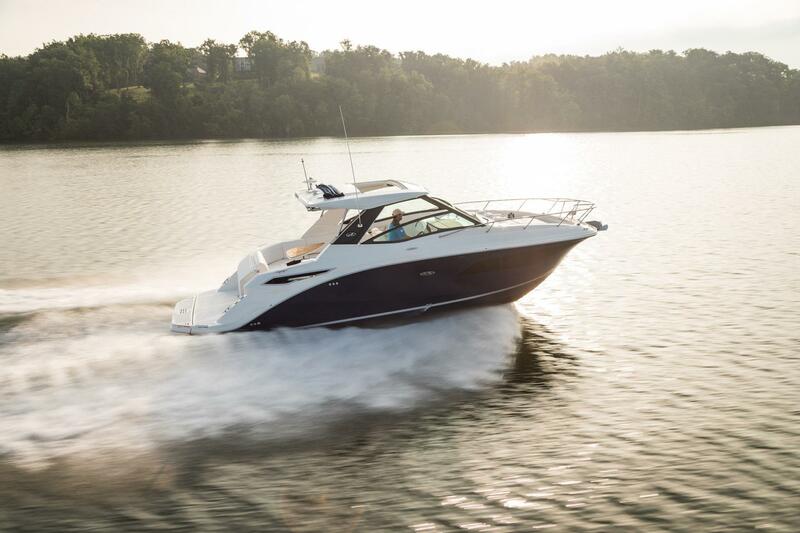 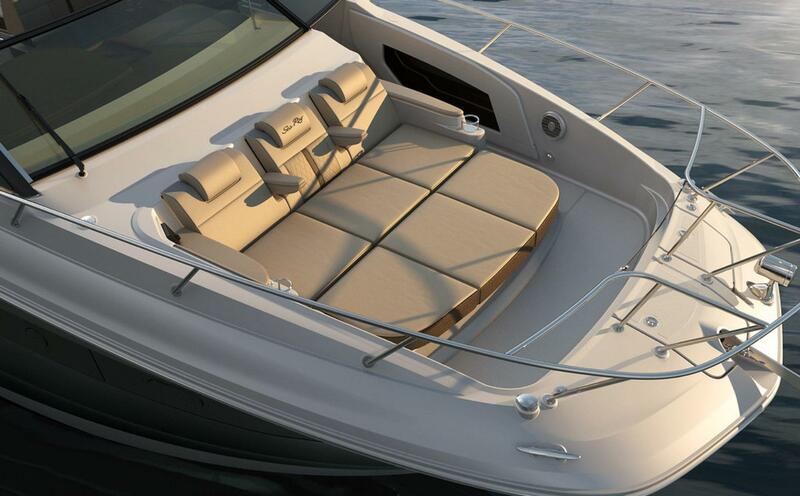 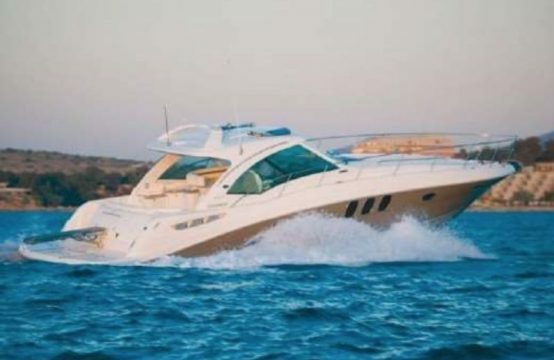 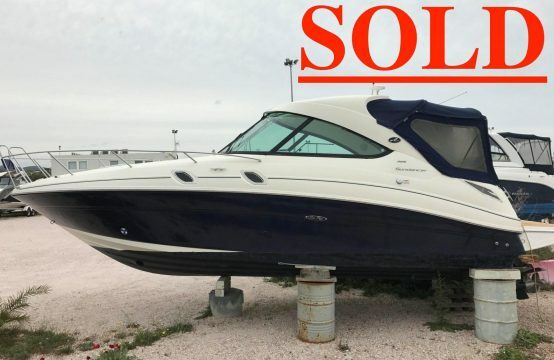 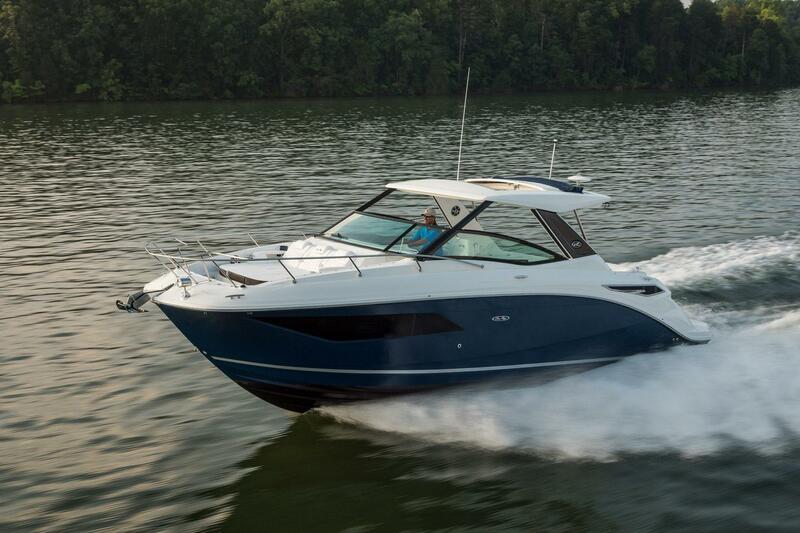 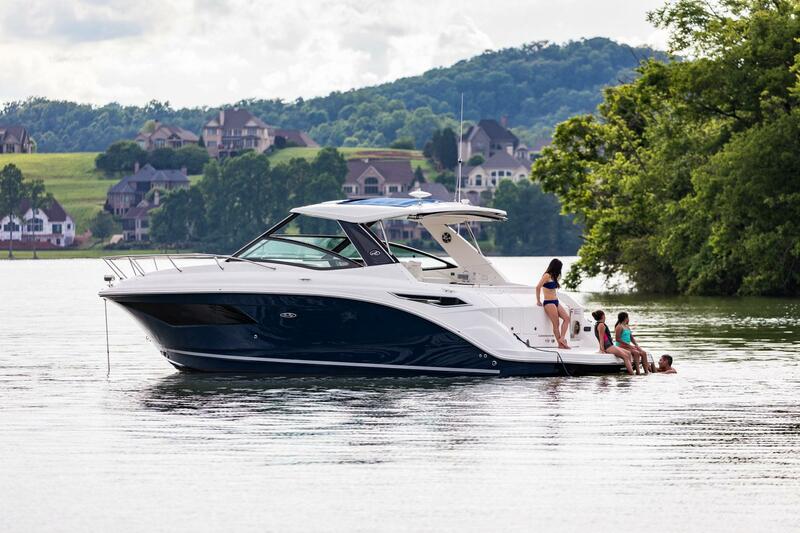 The new Sundancer 320, only from Sea Ray. 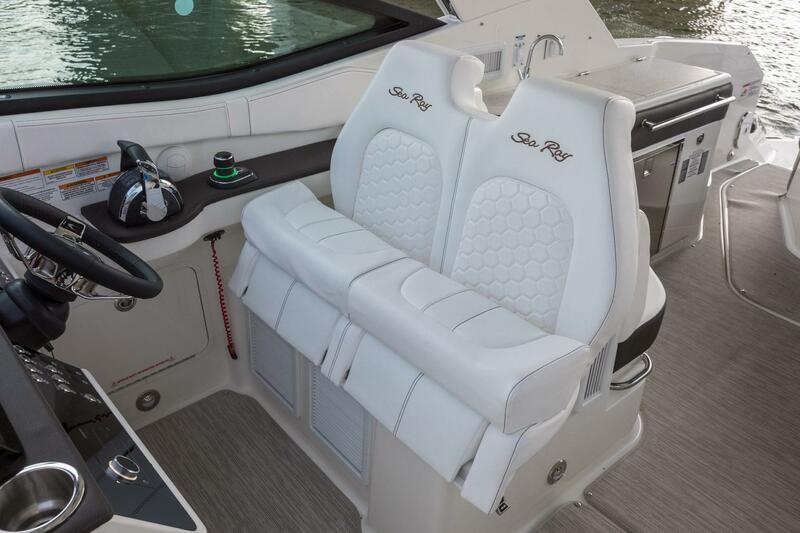 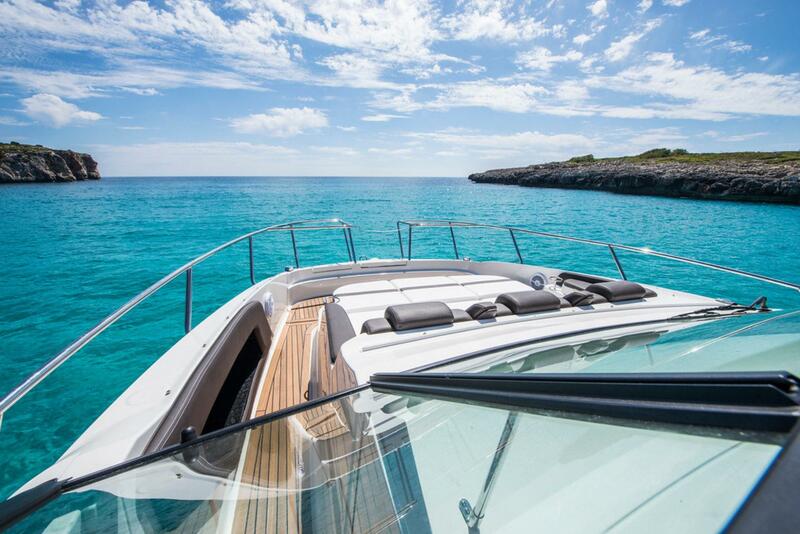 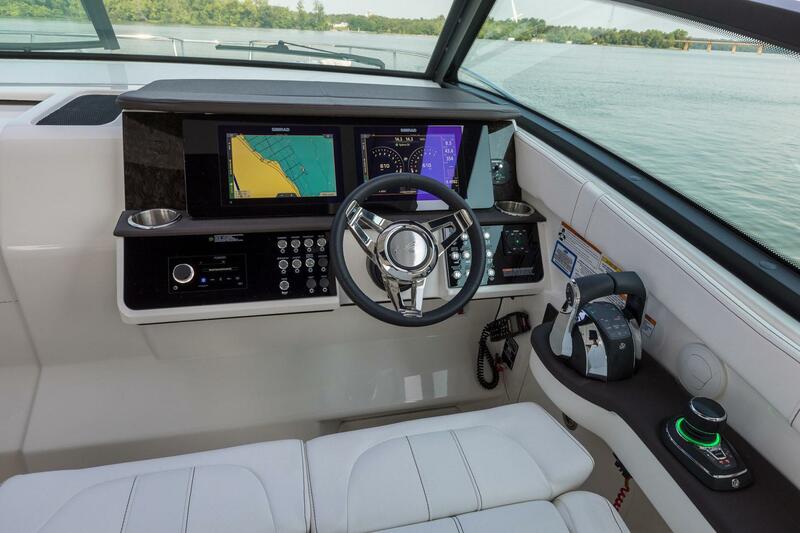 Confident command is yours to enjoy with the Sundancer’s state-of-the-art helm station. 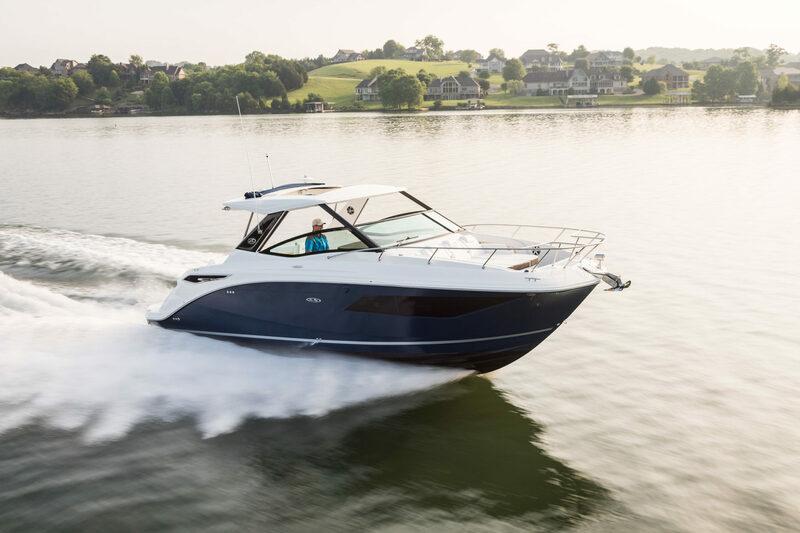 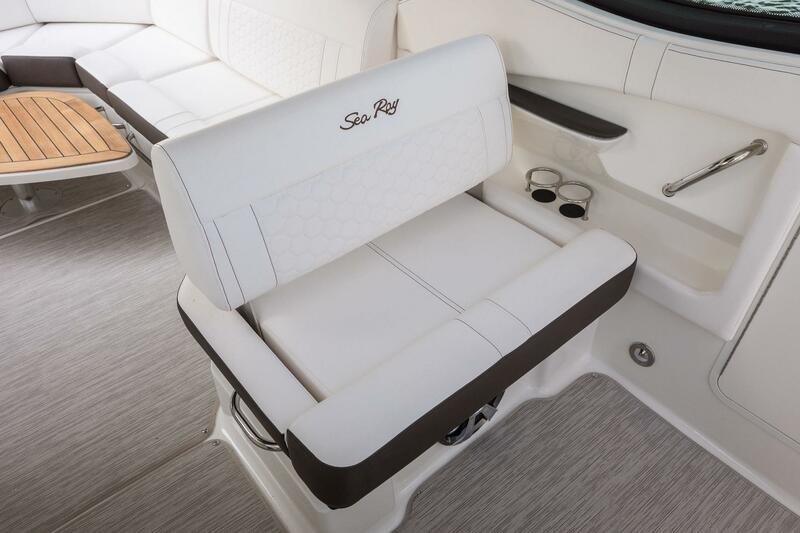 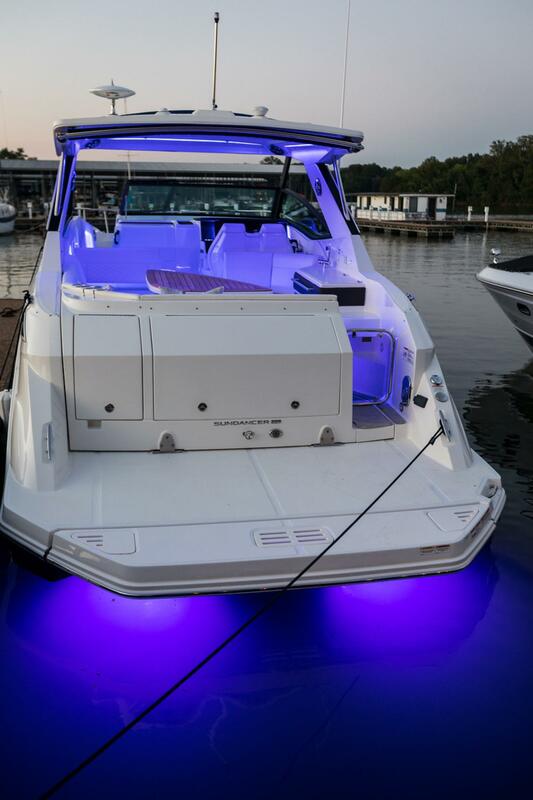 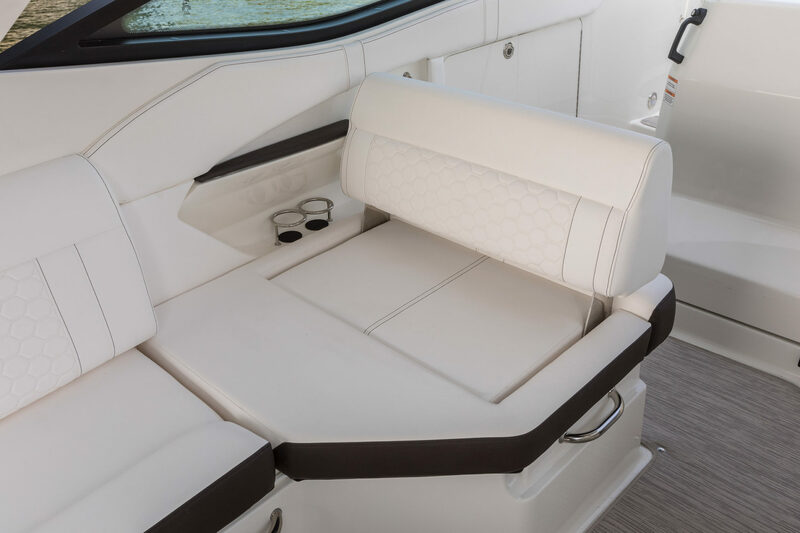 Custom SmartCraft® instrumentation and Digital Throttle & Shift (DTS) provide an intuitive captaining experience, while stylish touches including low-glare blue night lighting and chrome bezels lend a sophisticated aesthetic. 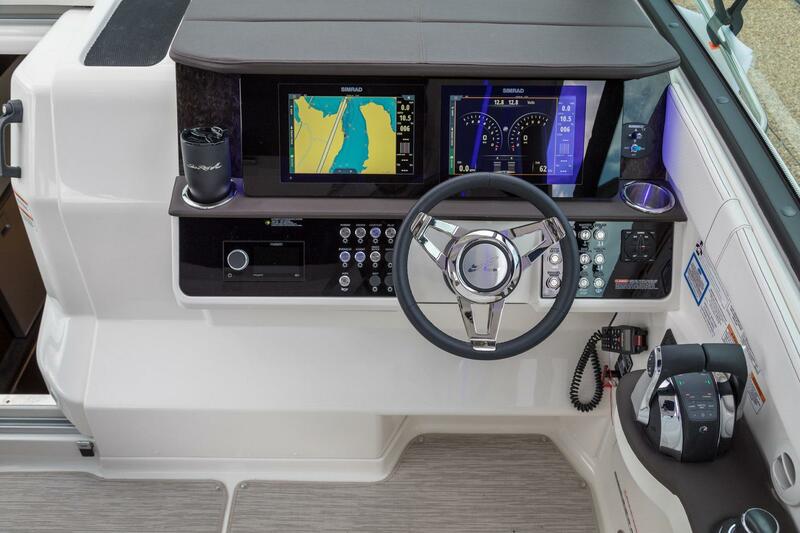 Select the Seacore propulsion system with Axius® joystick control for turn-on-a-dime maneuvering and effortless docking, right at your fingertips.